Hurricane Irene: 10 deaths and millions of power outages. 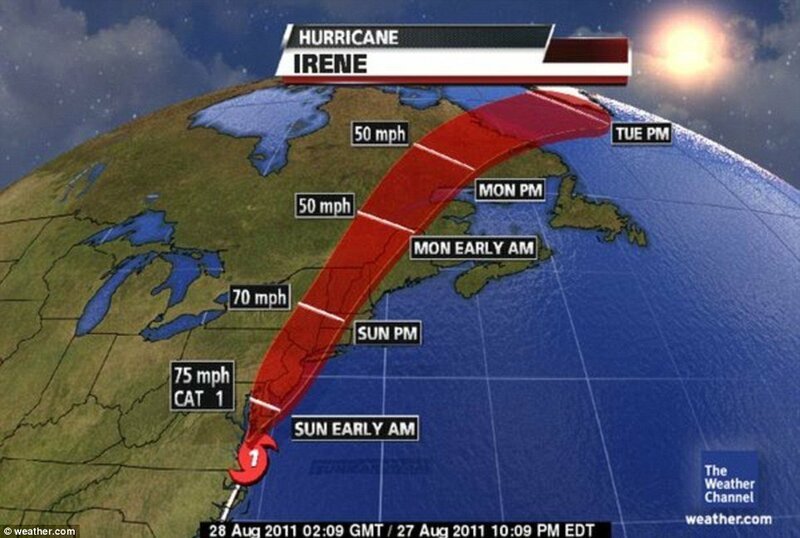 Home Breaking News Hurricane Irene: 10 deaths and millions of power outages. Hurricane Irene: death toll more than 15 and 6 million power outages. Hurricane names: how and why scientists named hurricanes? 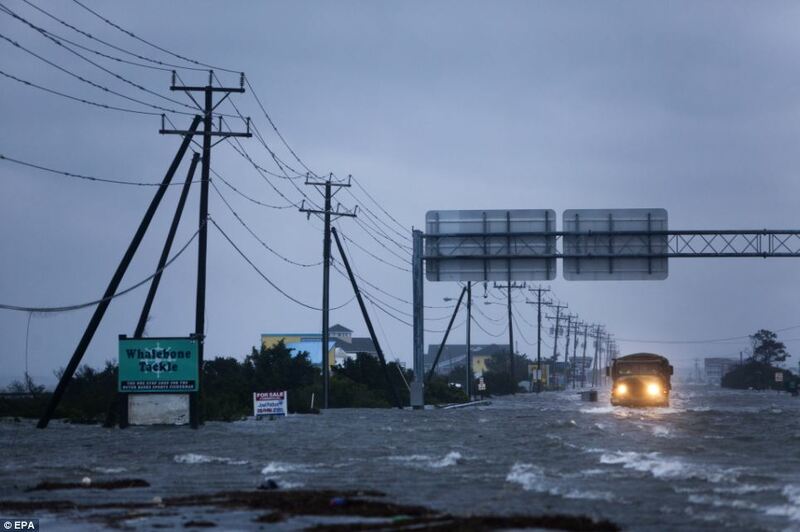 North Carolina: hurricane Irene hit Atlantic beach and killed one person. 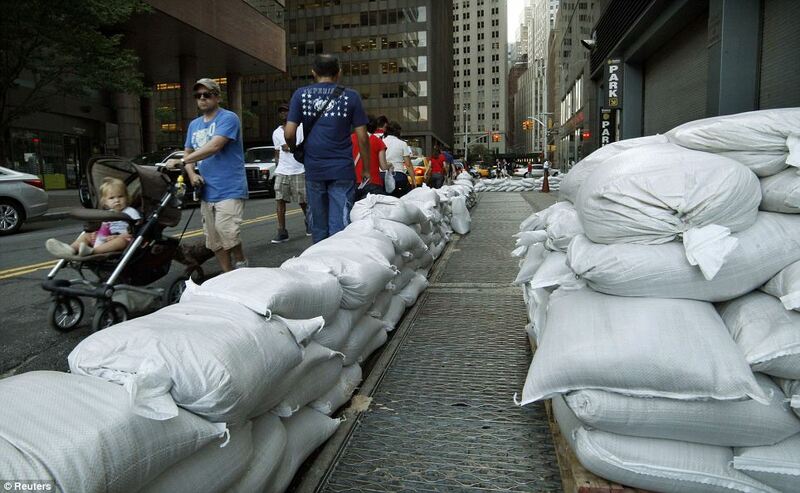 New York: 370,000 residents get evacuation order ahead of Irene. Hurricane Irene killed last night at least ten people, including two children, as the storm hit North Carolina and Virginia. More than 2 million people from South Carolina to Maryland were without power as the giant 580-mile-wide storm brought widespread flooding and high winds that knocked down power lines. Meanwhile Irene’s power was downgraded to category 1, but as it approached New York, forecasts warned it would hit the city at or near hurricane strength. According to the National Weather Service, conditions were ripe for tornadoes in the city, Long Island and southern Connecticut, as twisters were reported touching down in Delaware and Maryland. In Maryland, officials warned of a potential dam failure late on Saturday, they warned “may cause significant flooding that could threaten people, homes and roads downstream from the St. Mary’s Lake Dam”. St Mary’s County Government urged residents in the immediate downstream area to move family and pets upstairs or to a high place with a means of escape. Deaths due to hurricane Irene included two children, an 11-year-old boy in Virginia, killed when a tree crashed through his roof and another child from North Carolina, who died in a crash at an intersection where traffic lights were out. Another man in Onslow County, North Carolina, suffered a heart attack and died while boarding up his windows, according to the Charlotte Observer. A man in Nash County was killed outside his house after he was struck by a tree limb picked up by the strong winds. An identified man, who went to feed his animals outside his Nashville, North Carolina home, was killed by a tree or branch which fell on him. In Florida, a surfer was killed when he was knocked off his board at New Smyrna Beach, where surfers had flocked to take advantage of 10-foot waves. Other two people died in car accidents in North Carolina on Saturday night as a result of the hurricane. Another man died in Chesterfield County, Virginia, after a tree fell on his home. In Queenstown, Maryland, a woman died after a tree knocked a chimney through the roof of her home, crushing her. Tornadoes were reported touching down in Delaware and Maryland. In Lewes, Delaware, Governor Jack Markell said at least 17 homes had been damaged by a twister. In total, up to 40 houses were damaged in the town because of the storm. The National Weather Service reported a tornado touching down in Nassau Station, Delaware, and Maryland State Police said there was an apparent tornado on the lower Eastern Shore of the state. Andrew Cuomo, the New York Governor raised the number of National Guard soldiers deployed to New York City to 1,900. The soldiers, who have been mobilized from across the state, will assist with traffic control on bridges and tunnels, sandbagging operations at the World Trade Center site, evacuation shelter operations in New York, the construction of barriers for railway yards and train tunnels, and other hurricane emergency efforts. Hurricane Irene came ashore near North Carolina’s Cape Lookout around 7:30am EDT, and then chugged up the coast on a north-northeast track. Irene stirred up 7 feet waves, and forecasts warned of storm-surge danger on the coasts of Virginia and Delaware, along the Jersey Shore and in New York Harbor and Long Island Sound. Biscuits and cakes increase womb cancer risk by 42%. Ricky is a computer enthusiast, his passion is contagious. He’s the one who spends almost all day searching the internet for the latest and most interesting news around the world. He likes computer gaming and animated design. He’s also the manager of BelleNews.